Beyond Massage provides exceptionally high-quality bodywork, massage, acupuncture and continuing education not available anywhere else in the valley. Welcome to Beyond Massage Aspen, home to inspired wellness. Passionate about the whole client, not just symptoms or temporary solutions, my practice embodies a compassionate yet professional environment for massage, acupuncture, and natural health services. By creating a space of healing in the heart of Aspen, I have formed a foundation of client relationships – whether local or just passing through – that endure to this day. In collaborating with other practitioners, my community of wellness has expanded over the years and I look forward to meeting new clients and new students. What started as an internship at the age of 19 ultimately changed the trajectory of my life and my career, helping me land where I am today. On a detour that led me to working with a native elder, I spent the first two years of my career witnessing remarkable healing occur with the use of natural medicine. It was during this time that I learned that everything is energetically interconnected, from the physical aches and pains we experience in our body to the emotional aches and pains we experience in our hearts. Harnessing that knowledge, I sought to educate myself in multiple wellness techniques. With more than 5,000 hours of training in eastern and western modalities and 20 years of experience, my work and my clients are my passion. In 2004, I founded Beyond Massage Aspen and my roots grow deeper here every year after numerous trips to the Far East and throughout America for my studies. In my spare time you might find me off the grid hiking, paddle boarding, skinning, or photographing beautiful sites. I enjoy experimenting in my kitchen with healthy gourmet treats and meals or making reservations at a fine restaurant. When I’m not in the outdoors or in my kitchen I am likely checking more places off my ever-growing bucket list – from hiking Kilimanjaro to viewing Kodiak bears in their natural habitat. I love being in nature and viewing this wild life all around me. When I push myself to the outer limits of my athletic endeavors, I know the importance of wellness and vibrant living firsthand. Be inspired. Be well. Be vibrant. Your visit to Beyond Massage will have you relishing every minute of your stay where you can just leave your world behind and concentrate on your own healing process. We are conveniently located directly across the street from the Aspen Art Museum, 3 blocks from the gondola in downtown Aspen. That was the best deep tissue massage I have ever had! And I have had hundreds! The work you did on my neck and occipital area and the right side of my face and neck has loosened a sinus infection thought to have been gone (by the doctors) but myself knowing it was not. It was so small they said I should not be feeling or having any discomfort and being a dry sinus infection (no real clog or mucus other than a 2 MM in size blip on the CAT SCAN) they just sent me on my way. Your work opened up my sinus canals and I have had a major release and draining of that infection for over 24 hours and I am feeling SO much better, I cannot tell you! It is unreal! Wow what an amazing massage! I came up to Aspen/Snowmass from Denver with YWB 2014 and met, the incredibly personable and lovely, Erica at one of our parties. I have to say that Erica’s massage was absolutely the most enjoyable part of the trip. Don’t get me wrong.. good eats and plenty of booze in Aspen is fabulous but nothing compared to the self-care and healing one can get from a much needed deep tissue massage. Honestly, I have never had a more effective and intelligent deep tissue massage in the over 15 years that I have been seeking such a service. In my younger days I suffered quite a few athletic injuries and have more than my fair share of scar adhesion in my muscles. And deep tissue massages have always been somewhat disappointing because typically they were not very deep and not very balanced. When they were deep it was usually on a very limited part of my body, very painful, and left me feeling bruised or sore. Admittedly I bruise easily as a ginger but definitely not after Erica’s massage! What really amazed me about the Ashiatsu massage Erica gave me was the way it was very evenly deep, and the way it lengthened and re-oriented my muscle tissue. Truthfully fingertips just can’t compare to how a foot can penetrate and at the same time lengthen and stretch you, especially the way Erica does it (she balances and supports herself on two wooden bars that run across the ceiling, so that she can use her feet in long strokes, with varying pressure). If you enjoy deep tissue massage and have never tried it before, I would highly recommend an Ashiatsu by Erica. I cannot wait till the moment I can escape back up to Aspen for another massage. My husband and I left the kids at home and flew to Aspen for a week this winter. I arrived with a headache and extreme shoulder/neck tension. Thankfully, I found Erica Boulangee on my second day of the trip. Erica’s office is beautiful, clean and she didn’t chat with me during the session (unless I asked a question). She went above and beyond to pinpoint the source of my tension and, specializing in necks, went right to the source of the problem. She gave me so much more than a good rub –it was an incredible experience of healing and realignment. Her experience and training were obvious and I was able to relax, trusting her knowledge and skills. After the session, I immediately booked another massage with her for the following week right before my departure. I had a fantastic week in Aspen, skiing and snowshoeing without tension or headaches and I went home rejuvenated. You can book a massage anywhere in Aspen and get a good rub. 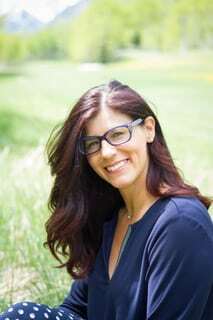 Erica is distinct–she has found her calling and shares her healing energy with her clients in a professional, skilled manner.